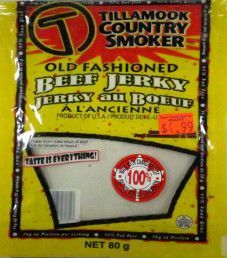 The next review on Tillamook Country Smoker will be on a 3 ounce/85 gram bag of their All Natural original flavored beef jerky. The Tillamook Country Smoker team graciously submitted this jerky for review in 2014. 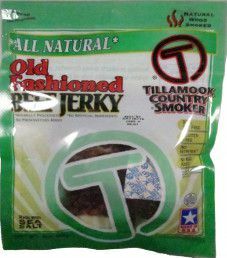 Note: For a recent, live taste review, open Tillamook Country Smoker – Old Fashioned Beef Jerky (Recipe #3). 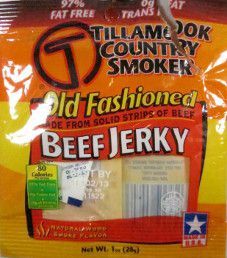 The next review on Tillamook Country Smoker will be on a 2.8 ounce/80 gram bag of their original flavored beef jerky. This bag was purchased at a convenience store in Brampton, Ontario, Canada, back in 2012. 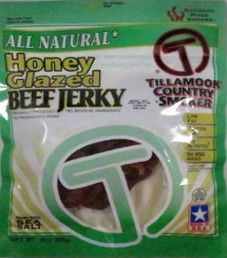 The next review on Tillamook Country Smoker will be on a 3 ounce/85 gram bag of their All Natural honey glazed flavor. 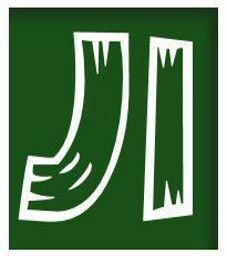 The Tillamook Country Smoker team kindly submitted this jerky for review in 2014.